This article details how to add or update reviewer assignments when they are assigned by a folder (aka NOT batch­assigned). 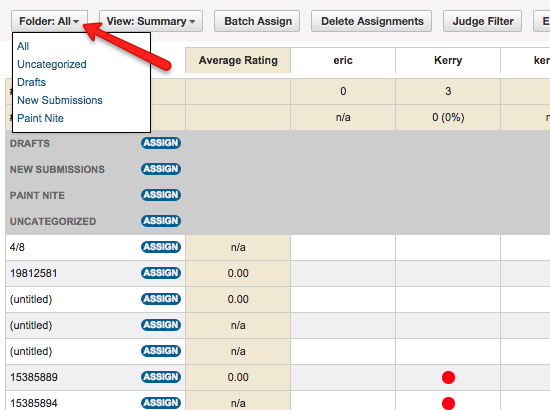 If you do not see the Assignments tab active in your workspace, go to Manage Tabs in order to do so. 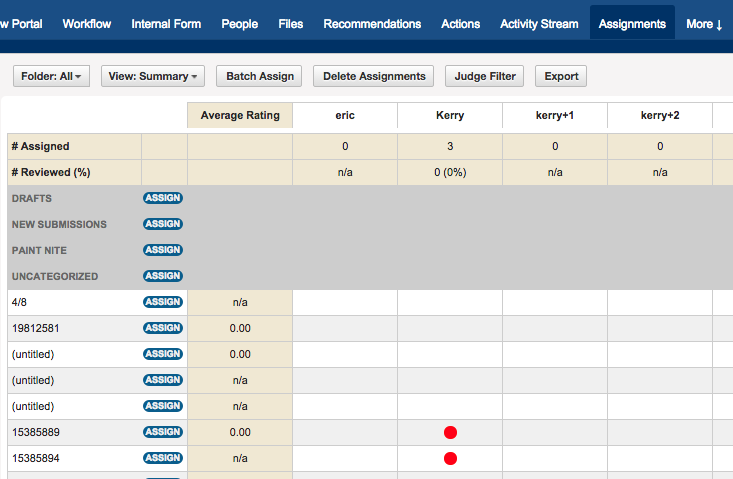 Find the Assignments row and click Show, and then Save, in order to activate this feature. Go to the Assignments of your workspace. You will see a default screen that looks something like this. 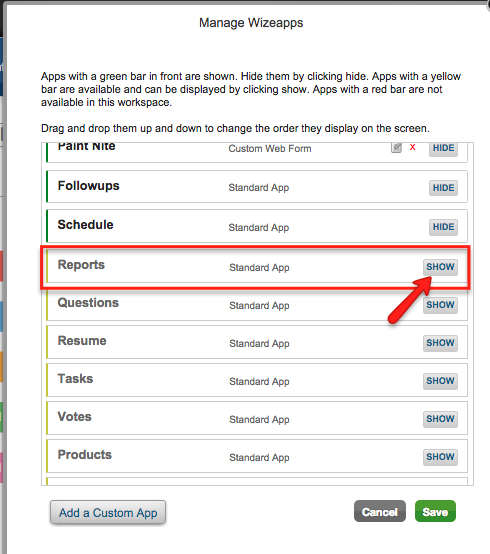 If assigning by individuals, click Assign next to the applicant's name. If assigning by folder, click Assign next to the folder's name. 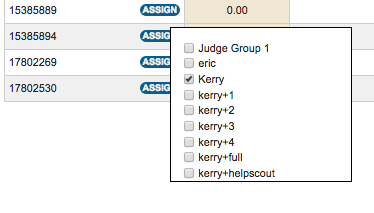 After clicking Assign, a pop-up comes up, listing each judge with a checkbox next to his/her name. By just clicking that box, the assignment will be made. If you want to change an assignment, you just need to uncheck a checkbox next to that judge's name, for that particular assignment. Note: if an assignment has been applied by folder, and you want to remove a particular assignment for one individual within this folder, this will not be possible. You will need to unassign the entire folder by selecting Assign for that folder and deselecting the checkbox for that particular reviewer. 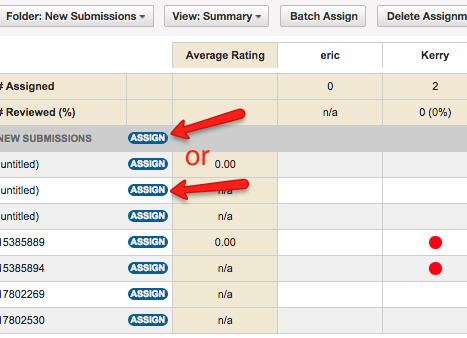 You can then manually assign the reviewers that should be assigned, one by one.